This was similar in some ways to another series out there. On that note I must say, we as readers read a lot of books that are similar to others out there. I loved the idea that Violet has always felt different because she has a secret she could tell to no one. 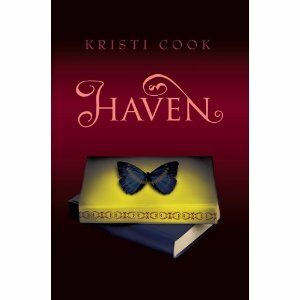 Once she gets to Winterhaven School she immediately realizes she’s not alone. Everyone else has these same secrets and she fits right in. That is until she meets Aidan Gray. She is immediately drawn to him and yet at the same time she knows he holds an even bigger secret. The character were realistic enough. The supporting characters were believable and charming and added the extra spice to the story. This was a very quick and easy read. It has all of the elements to grab you and hold you from the beginning. Any teen or adult who loves the young adult paranormal genre will enjoy this. This is Kristi’s debut novel so we need to keep an eye on her to see what she gives us next.